The line between headphones and hearables is blending together now more than ever, and Sony’s Xperia Ear Duo is one of the most innovative products we’ve seen on the market that tries to push those two ideas together. Hearables are devices that can offer similar functionality to a smartwatch, such as giving you notifications from your phone, updates from apps and other functionality, but this all comes directly into your ear through audio rather than on a display as on a watch or phone. 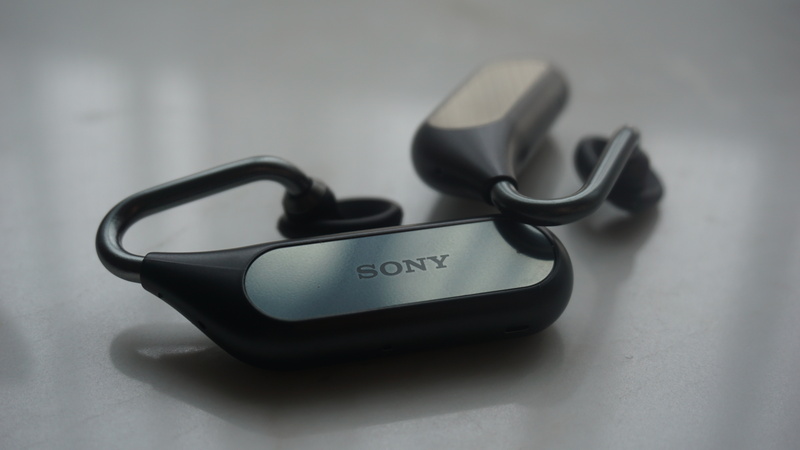 The Xperia Ear Duo follows on from 2017’s debut product in this category for Sony, which was the Sony Xperia Ear open-style and which wasn&apos;t a particularly popular product and which we didn&apos;t get to test properly. This new product brings two hearables to the mix in one package. The Xperia Ear Duo is similar to true wireless headphones we’ve seen in the past, such as the Apple AirPods, where there’s no wire between the two Bluetooth earpieces. This looks different though as it hooks around your entire ear and looks more like a Bluetooth headset from the late noughties rather than offering a stylish and distinctive look. 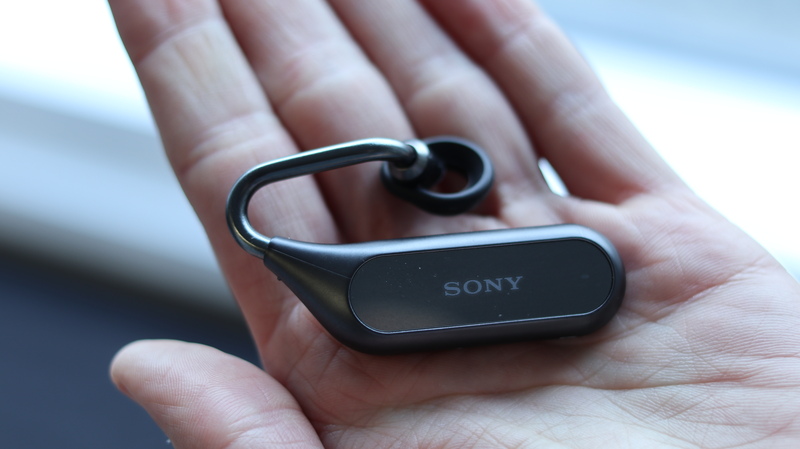 Here’s our full verdict on the Sony Xperia Ear Duo and whether it’s worth picking up to hear your notifications and listen to music. Announced at MWC 2018, the Xperia Ear Duo was one of few wearable devices announced at the show and it was particularly eye-grabbing as it’s such as strange idea to begin with. Those in the US can buy the Xperia Ear Duo, but it’s not particularly cheap with an RRP of $279.99 or £249 (about AU$380). The Xperia Ear Duo is hard to find online in the UK right now, but you can buy it from select retailers in store and we hope it will appear at more online retailers soon. In terms of compatibility, the Xperia Ear Duo will work with any phone that&apos;s running Android 5.0 or higher, while those with an iPhone will be able to use it if their phone is running iOS 10 or later. There’s no getting away from the odd design Sony has chosen for the Xperia Ear Duo, so we&apos;ll start with that. This is a headset that looks unique, but also reflects a lot of what we’ve seen change in recent years with the introduction of true wireless headsets. 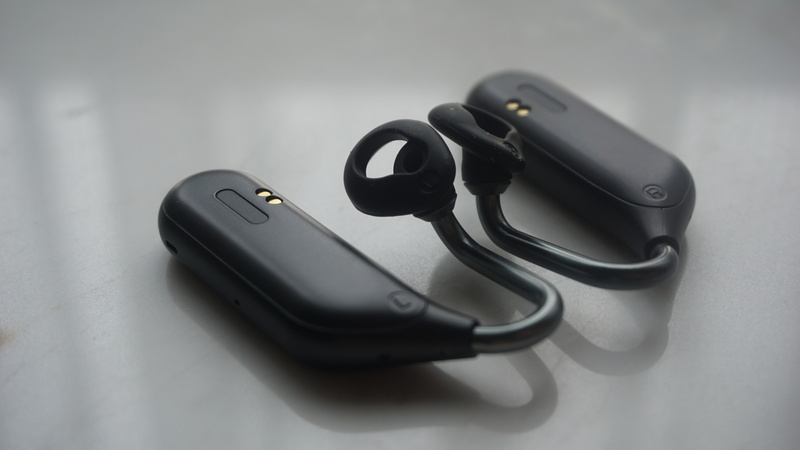 The Ear Duo is made up of two earpieces that aren’t connected by a wire, which is what true wireless means. These both sit within a wireless charging case – more about that later – so you can carry them around and ensure you don’t lose one when you&apos;re walking around. 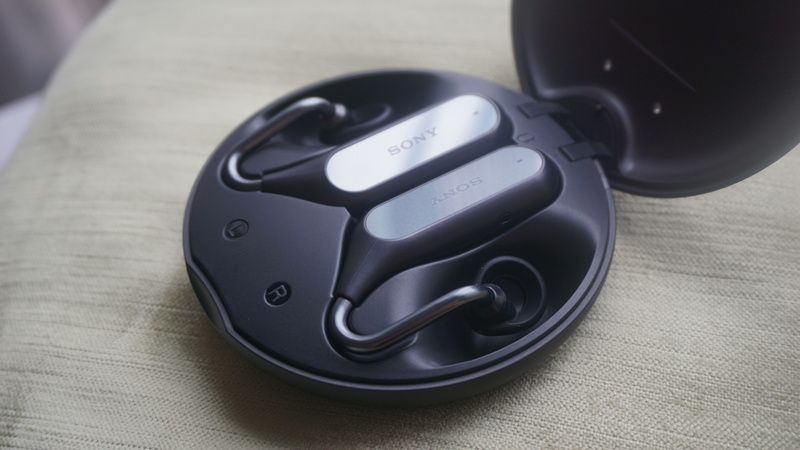 Unlike Apple AirPods and most other true wireless headphones we’ve used, the Sony Xperia Ear Duo actually looks more like the Bluetooth headsets you used to see wrapped around the ears of business people. There’s a thick piece of tech that houses the battery, the touchpad to interact with it and a variety of other sensors. That sits behind your ear, then a small metal band bends around your ear and provides the earpiece so you can hear the audio. When we first took the Xperia Ear Duo out of the box we were a little confused by how to wear them. There’s a handy guide in the box to demonstrate the way you’re meant to put them in, but it’s inherently a problem that they’re so confusing looking that the company has to include that message. We asked other people to try and wear them in the TechRadar office, and often people found them uncomfortable to put into their ears even when they knew how to do it. We&apos;ve been wearing the headphones for over a week, but we still struggle to put them in our ears. Once you’re used to how the headphones work, it’ll still take you around 10 seconds to hook each one around your ear. Perhaps we have particularly long earlobes, but we often found ourselves struggling to get the earpiece around the bottom of our ear comfortably on the first go. It’s an odd feeling to have this large piece of tech sitting behind your ear, but it&apos;s not particularly uncomfortable. Each is light, so they sit in your ear well and won’t weigh down either side of your head. As it’s such a complicated thing to explain, we’ve shared this video that may help you understand exactly how the Xperia Ear Duo sits around your ear. You have three choices of inner ear pieces with small, medium and large being the options. We took some time to figure out that medium was the perfect size, but so far the inner part of the headset has been comfortable. We’ve also never felt like they could fall out of our ears, which is something that can’t be said of Apple AirPods. To access the smart features, you use your finger along the sides of the bits that sit behind your ears. This is easy to reach and works well. You can adjust the volume (by running your finger up one of the touchpads) as well as pause and play your music by tapping on them. One interesting quirk is that you can only pause by tapping on the left earpiece, so you have to wear both earpieces to be able to use the headset properly. You can change the volume on both, but if you’re only wearing the right one for some reason it means you’ll lose the ability to quickly pause the music. Instead, you can long press on the right one to open up Google Assistant, while a quick tap on this one will offer your notifications. There’s no getting around the fact the Xperia Ear Duo headset looks silly. 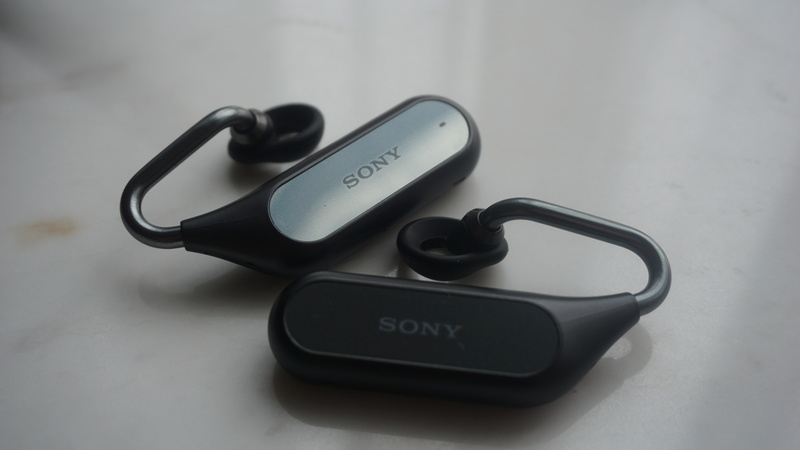 That said, we also don’t particularly love the look of Apple AirPods, but those have become a popular choice for iPhone fans so it may be that the Sony Xperia Ear Duo is a look many begin to adopt. If you do plan to buy the Xperia Ear Duo, you can buy it in either black (pictured throughout this review) or in a gold color. When we originally tested the Xperia Ear Duo we saw them in silver too but it looks like Sony decided against that color for the full release. The charging case that comes with the Xperia Ear Duo is large, but it’s easy to slot into a small bag or even your back pocket. It’s thin, and while the round design is large it&apos;s not an oversized case. This isn’t as slim and easy to carry around as Apple AirPods and its charging case though, so if you’re looking for an easily portable device this may not be right up your street. Perhaps the most unique feature of the Xperia Ear Duo is the fact you can hear the world around you when you’re using the headset. This isn’t going to block out everything in your surroundings like big wired headsets or noise-cancelling headphones will. That has both benefits and negatives. It means you can head out running or riding a bike with the Xperia Ear Duo in and know you&apos;re still in tune with your surroundings even though you&apos;re listening to music. You can also continue to listen to music and still hear conversations or traffic around you, which means you&apos;re hopefully going to be a touch safer when you&apos;re listening to music. It sounds similar to bone conduction audio headsets like the ones you’ll get from AfterShokz and some other sports-orientated brands. It’s worth bearing in mind these headphones won’t work in every situation though. 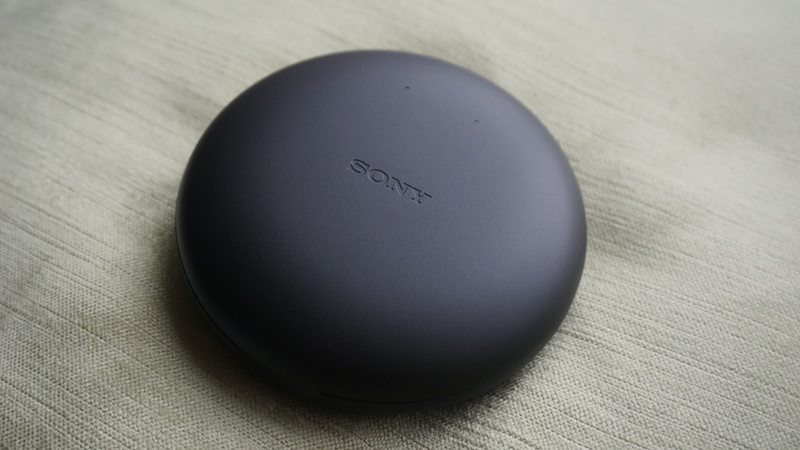 When writing this review, we were wearing the Sony Xperia Ear Duo on a long-haul flight, a situation we often want noise-cancelling or at least loud headphones for to concentrate on work, watch entertainment and drown out the surrounding plane noise. That’s one of the situations the Xperia Ear Duo doesn’t particularly work well for. The maximum volume isn’t enough to drown out that ambient noise, and it doesn’t have a switch to turn off the feature where you can hear around you. While it’s useful to be able to hear around you, we missed the opportunity to fully immerse ourselves in the audio without the background noise around us in some situations. If you&apos;re in a loud environment, the Xperia Ear Duo is nigh on useless. If you don’t think you’ll want headphones that can kill noise, this may be right up your alley, but if you want a headset you can wear on the subway or for walking alongside busy roads, this isn&apos;t for you. As for actual sound quality, the Xperia Ear Duo delivers okay audio and is around what we’d expect from a mid-range priced pair of true wireless headphones. It’s not stunning and won’t impress audiophiles, but the audio sounds similar to what we’ve heard from other products at around this price. We could have done with the maximum volume being a bit louder, but that seems to be a limitation of this technology rather than a particular idea Sony has installed in the headset. There&apos;s adaptive volume control here, so when the headset hears noises around it the volume will automatically increase and when there&apos;s nothing around it won&apos;t be as loud. We found it wouldn&apos;t make the volume loud enough though and we often found it working slowly to up the volume. You can turn this feature off in the settings so you have a standard volume level, and we found ourselves doing this quite often to stop the feature. The smart features are where the Xperia Ear Duo succeeds. As well as functionality to pause and change the volume, the right earbud is where all of the smart features can be controlled. A quick tap on it will read out your notifications with Sony&apos;s own voice assistant doing the honors directly into your ear. When you’ve got the headset in, you’ll also be read your phone notifications as soon as they come through. It means if you get a WhatsApp message from a friend, you’ll hear “John McCann says hello” rather than the more robotic “new WhatsApp message from John McCann: hello” that some headsets provide. 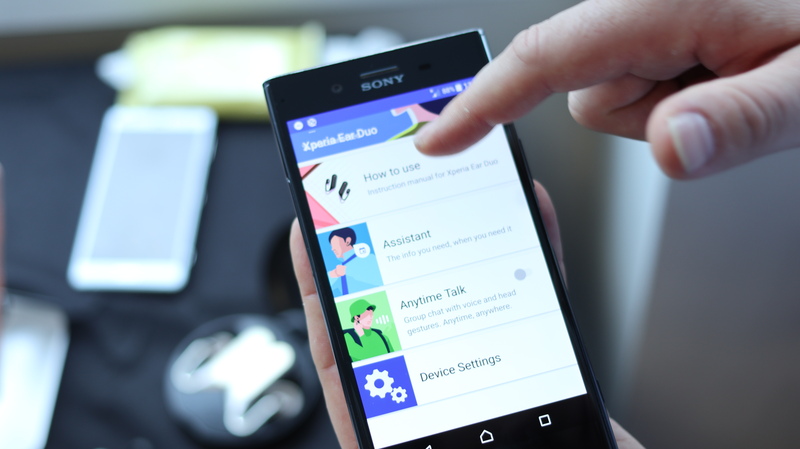 The Sony Xperia Ear Duo app where you can alter the smart features settings. This will read out all of your notifications though, as and when they appear on your phone. It means if you have a notification from your phone saying you can optimize battery life… you’ll also get that read into your ear, and we didn&apos;t find that particularly useful. It will also immediately read your messages, which if you&apos;re part of a group chat that&apos;s constantly being updated can get annoying. But it&apos;s useful when you&apos;re out running and you feel your phone vibrate, as it&apos;s read straight to you. You can pick and choose which apps are going to be read out within the Sony Xperia Ear Duo mobile app. Here you can also easily switch off all notifications, but there’s not a quick gesture to be able to turn them off and that would have been a useful addition. With a long press on the right earpiece you’ll be greeted with the default AI on your smartphone. If you’re using an Android, it will likely be Google Assistant, so you can directly ask a question or change features on your phone right away. We found the headset understood our requests and it works speedily. If you’re desperate to know a query without opening your phone you can quickly use this, but having these in your ears won’t remove the stigma of talking to your phone. The headset also comes with head gestures, so you can answer or decline phone calls, skip tracks and stop messages by moving your head. 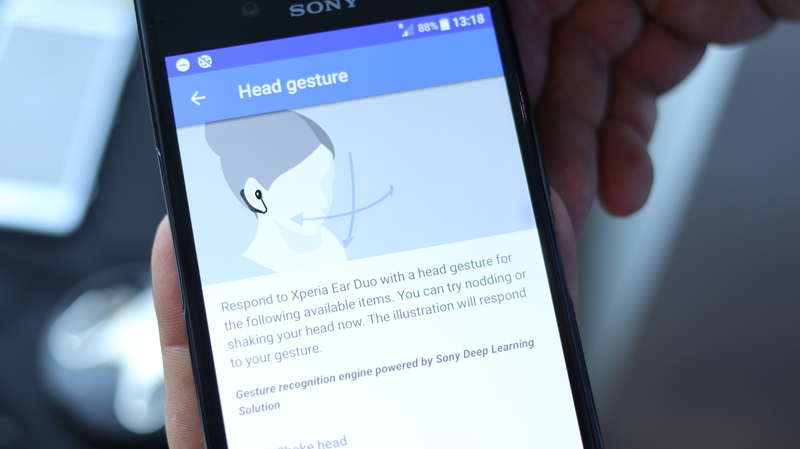 How head gestures work on the Xperia Ear Duo. We found this worked quickly and easily, so if you nod your head when getting a phone call it will answer the phone. Often you forget what the particular head gesture for each thing is though, so this isn&apos;t going to particularly make it easier for you to interact with your phone. If you&apos;re taking the charging case with you, you&apos;ll find the battery life on the Xperia Ear Duo is quite impressive. Aside from the charging case, we found the headset would last for around three hours from 100%. 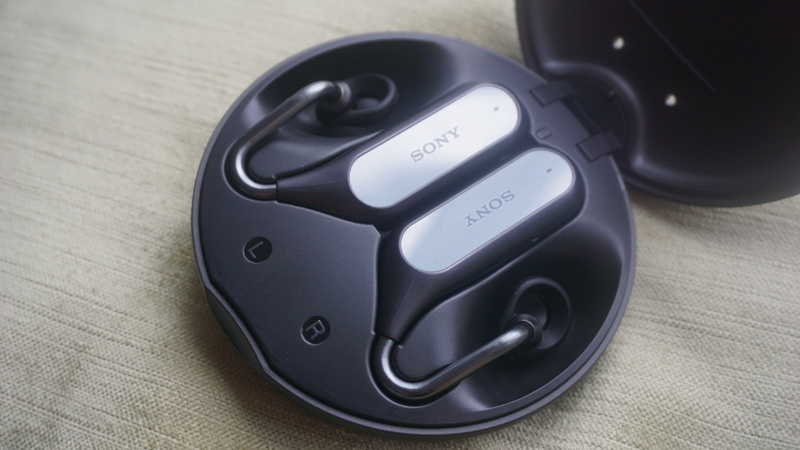 That was with us playing around with lots of the features of the Xperia Ear Duo as well as listening to audio throughout, but that&apos;s not stunning battery life considering the larger design of the earbuds. The charging case adds up to 16 hours charge to the headset, according to Sony, and we found that snapping them into the charging case for half an hour was enough to get them back up to 100%. That&apos;s useful, but it&apos;s not going to blow you away and you shouldn&apos;t buy this headset if you&apos;re looking for stunning battery. 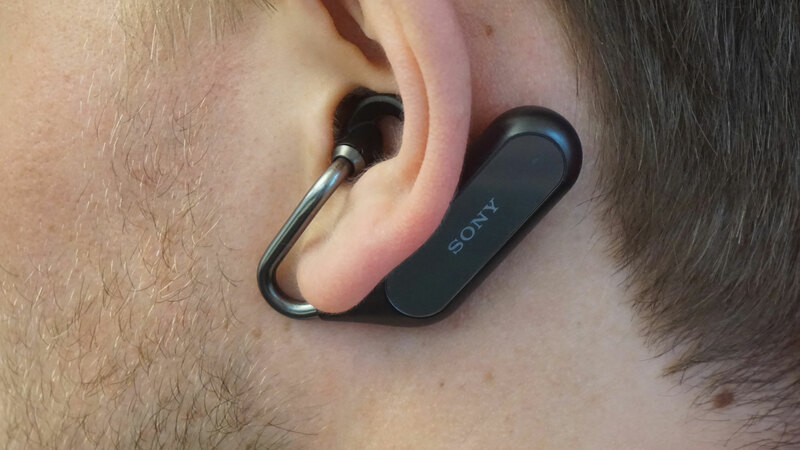 There are some features we really like on the Sony Xperia Ear Duo, but we don’t think it&apos;s a product that’s suited to a lot of people. 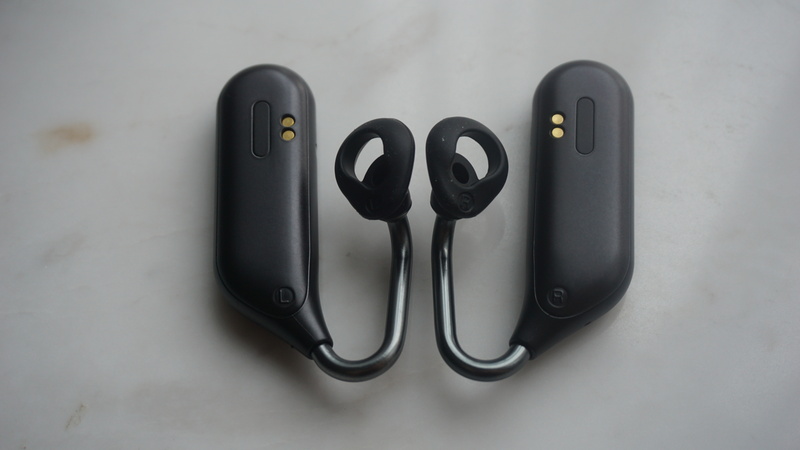 True wireless earbuds are popular right now, and integrating hearables features into a headset of this type is a great way of adding extra value, but there are a few negatives we feel detract from the headset itself. As much as we’re concerned that it’s not a product for everybody though, you have to laud Sony for developing such a unique product that looks and works completely differently to anything else on the market right now. Love the idea of being read your notifications directly in your ears when they come in? The Xperia Ear Duo should be right up your alley, but there are a few other things you’ll need to consider before diving straight into buying the Ear Duo. If you’re looking for a headset that will cancel out the noise around you, this isn’t it. The technology is purely designed to offer audio while still letting you hear ambient noise such as traffic, conversations and everything else buzzing around you in daily life. If you’re often exercising outside or you&apos;re off on a walk in a busy area, this feature is great as it allows you to be keenly aware of where you are. You can’t turn that off when you’re on public transport or trying to concentrate in a busy office though – you will be able to hear whatever is happening around you. If that all appeals then the Xperia Ear Duo may be perfect. All of that said, we&apos;re not fans of the design. These don&apos;t look good hung around your earlobes and they&apos;re complicated to put on, though once you get them on they&apos;re not uncomfortable to wear. Only buy this if you’re looking for that specific ambient audio true wireless experience that we’ve spoken about above. There are lots of smart features here, but they&apos;re relatively limited apart from being able to change the settings of the headphones (something you can often do with buttons on headphones), being read your notifications and having a quick gesture to be able to boot up Google Assistant. In some situations you’ll find these features useful, but many will find it irritating to be constantly read their notifications while they&apos;re trying to listen to music. Plus you’ll want to bear in mind the price of the Xperia Ear Duo, which isn’t low compared to a lot of other true wireless headsets you can buy right now. Apple AirPods cost just over half the price at £159 / $159.99 and have very similar functionality to the Xperia Ear Duo, so are worth considering if you own an iPhone. This may sound like a lot of stipulations, but the truth is the Xperia Ear Duo is designed with a very particular person in mind and we want to make it clear you’ll need to be just like what we’ve described to get the most out of these. And if you’re not a fan of the design, you may want to hang on to see if Sony improves it for a new Xperia Ear Duo product in the future.